While Norway spruce is not native to the U.S. (it comes from Europe), but it grows very well throughout USDA hardiness zones 3 through 7. The trees like cold winters and warm summers, and grow well in a variety of soils. They are somewhat resistant to drought but grow best, especially when young, if the soil is kept damp. Norway spruces are used widely as Christmas trees and make excellent windbreaks or dramatic focal points for a yard or garden. They grow best in full sun. 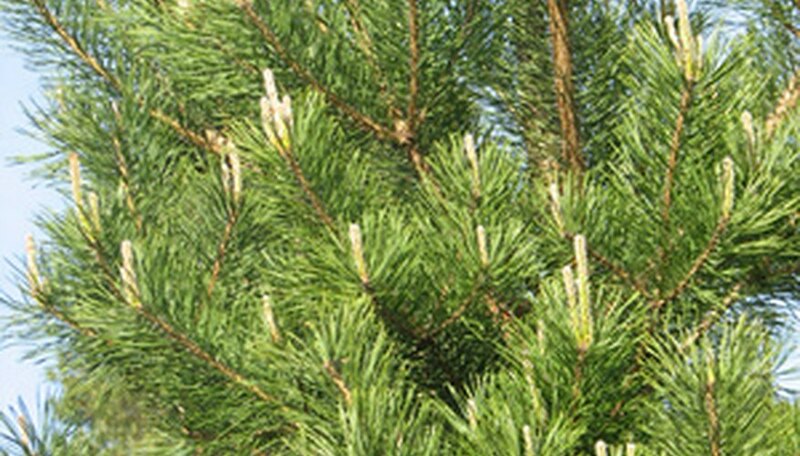 Seed cones should be collected between September and November. Collect several Norway spruce seed cones just before they become fully ripe and open, releasing their seeds. Place the cones into a paper bag. Set the bag in a safe place where mice and other rodents will not find it. Open the paper bag after a few weeks to see if the cones have begun to dry out and open up. Shake and strike the cones against the palm of your hand to release the seeds from between the leaves. Rub the papery "wing" off of each seed, using a thumb and forefinger, and place the Norway spruce seeds into a plastic bag. Seal the bag and place it in the vegetable crisper of a refrigerator until April or May. Remove the seeds from the refrigerator and place them in a shallow bowl. Fill the bowl with water and allow the seeds to soak overnight. Discard any seeds that float. Fill a growing tray with soil-less growing mix and place the Norway spruce seeds on top of the soil. Press gently, no more than 1/4 inch into the soil, and dust a little soil lightly on top of the seeds. Water to keep the soil damp. Place the growing tray in a well-lit area but not in direct sunlight. Watch for the seeds to sprout. Sprouting should take place within 21 to 28 days. Allow the seedlings to sit in direct sunlight for four or five hours per day once they have sprouted. Keep the soil moist. Begin setting the seeds outside in a protected area for several hours each day to prepare them for planting to the outdoors when they reach 6 to 7 inches tall. Dig a hole in a sunny, well-drained area that is two or three times as wide as the rootball of the trees. Mix potting soil into the garden soil at a 50-50 ratio. Plant the trees at the same depth as they were growing indoors. Water to keep the soil damp.